Although we have already started to see a rise of women in leadership positions, however studies increasingly show that there a lack of confidence as a key obstacle in women realizing their professional goals. 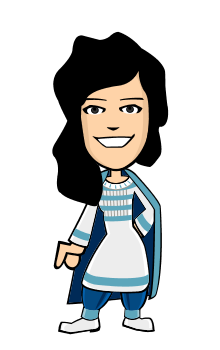 From an early age when I desired to be support of my peers, and when my plan of becoming a corporate professional and boosting the self-esteem of women through aesthetics failed, I changed direction and landed an exciting role as back office administrator at TCS. The entrepreneur within me soon became apparent, and when most of my other female friends were increasingly concerned about what life after college would hold for them in their professional lives, I created a solution to a problem and launched my own venture in 2012 after having a decent work experience of 10 years. Today, the job market is extremely competitive. Many individuals are not satisfied with just a job, they want a career following their dreams. Most of us don’t enjoy our current jobs and due to the competitive job market, we have to settle and somehow our dreams of following a particular career path die. Most companies and businesses alike need to come up with more innovative ways to create programs that help in the empowerment of women to fulfill their career goals. The younger generations of women need to be mentored and inspired by women already in roles. Women are great communicators & this key skill is an asset to any boardroom. In a recent movie LA Gala, actress Kerry Washington stated "We as women put ourselves in this situation of feeling like we can’t take a risk, like in order to step out there we have to be perfect, because we’re scared that if we don’t say the right thing, or do the right thing, that we’ll reflect poorly on ourselves and our community, whether that community be women, people of color, both." Women have to be willing to gain courage and step up, regardless of the male dominated workforce. We should take our focus off the statistic and focus on personal development. It was rightly said by Nelson Mandela that "It is better to lead from behind and put others in front, especially when you celebrate victory when nice things occur. You take the front line when there is danger. Then people will appreciate your leadership." Thus, women who are empowered by confident women will in turn lead with confidence and also leave a legacy for generations to come. This should carry on for the next generation and young women need to be empowered for the betterment of the society. I am thankful to Film Annex that they have created a flat form for the young women of Pakistan, Afghanistan and India and support them. 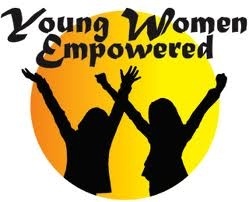 Please share your comment and feedback of your thoughts on the topic of young women need to be empowered.